For hundreds of years, wood has been the most desirable choice of flooring options. Wood adds character, value, beauty and charm to any décor. 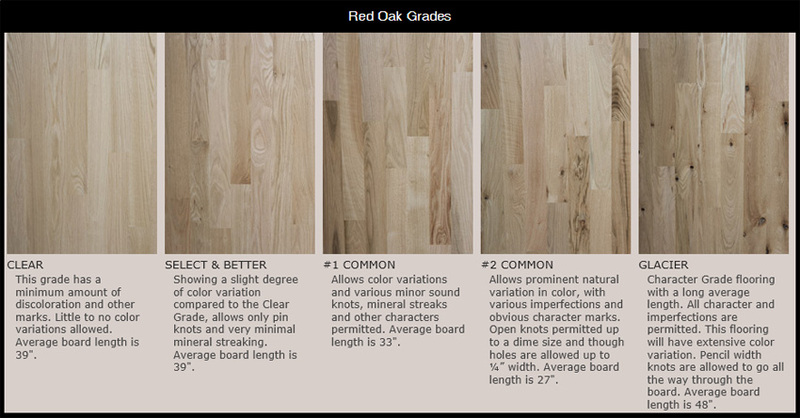 There are numerous possibilities in color, species, grading, width and design to be considered when choosing your floor. With our extensive experience and knowledgeable staff, it is our pleasure to help you to understand the features, advantages and benefits of this versatile product so that you can make the best flooring choice for you. Select/Better: A very slight degree of color variation along with minimal mineral streaking; only pin knots in certain boards. Number One Common: Allows for color variation and minor closed knots; mineral streaks and other character markings. Number Two Common: Allows for distinct colors variations and imperfections, character marks and open knots. 1st Grade: Denser grain and rich consistent color with minor darker streaking. 2nd Grade: More variations in color and brownish/tan streaking. 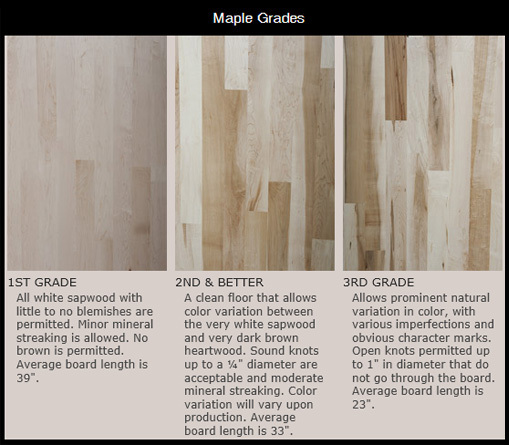 Understanding the difference between these two options helps you narrow down your choices, shop smarter, compare with confidence and select the hardwood floor that best suits your lifestyle. Unfinished: Raw wood with square edges and ends which is installed then sanded and finished on site. There are endless options to choose from as far as species, width, color and sheen level. The floor is completely flat with no overwood or milling issues. Prefinished: A factory finished wood that is milled with a bevel on the edges and/or ends. The flooring is installed and needs no further coating. The floor may have some minor imperfections such as overwood on the end joints and color variations throughout the base. The Janka Hardness Test is a measurement of the force necessary to embed a .444-inch steel ball to half its diameter in wood. It is the industry standard for gauging the ability of various species to tolerate denting and normal wear, as well as being a good indication of the effort required to either nail or saw the particular wood. The higher the number the harder the wood. Although this is one of the best methods to measure the ability of wood species to withstand indentations, it should be used as a general guide when comparing various species of wood flooring. The construction and finish also play an important role in the durability and ease of maintenance of any wood floor. 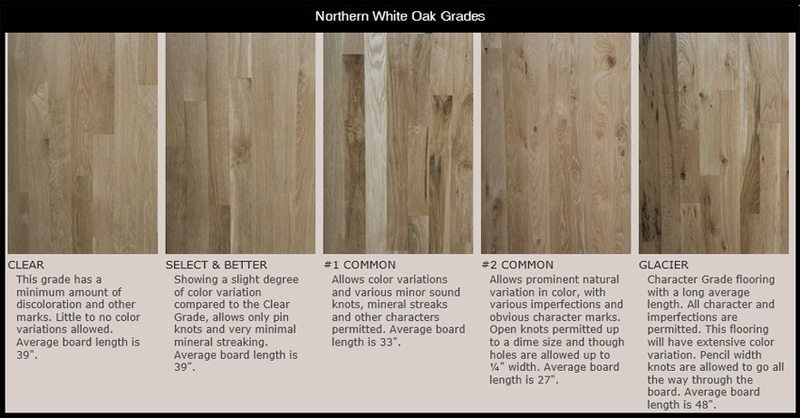 Click here for a list of the relative hardness for numerous wood species used in flooring (please note that this is a partial list containing some of the most popular choices as well as some of the more exotic species).